This year is a year of firsts – my first (and hopefully only) marriage, first house, first tropical storm, and first 4th of July spent in America, as an American resident. So what is 4th of July? As an Australian, all I know about 4th of July is that it is America’s Independence day, and a public holiday throughout the country. What I have come to learn is that 4th of July marks the day that America’s Declaration of Independence was signed back in 1776, which declared Independence from the United Kingdom. What I have also come to learn is that the only thing American’s love more than the 4th of July are their fireworks! If there’s one thing American’s love more than 4th July it’s fireworks on 4th July! 4th of July today, not unlike our Australia Day, is an excuse of a holiday. 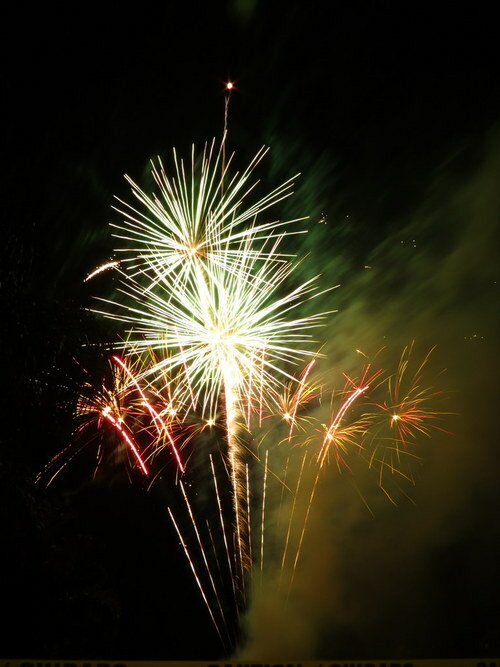 Fireworks, parades, barbecues, carnivals, fairs, picnics, concerts, baseball games, family reunions, and political ceremonies are held on this day annually in celebration of the history, government and traditions of the United States. After a day at the pool within our gated community, socializing with neighbors over a barbecue, I plan on heading down to the beach tonight for some epic fireworks. Mike and I did, however celebrate the 4th last night with fireworks which went off at one of Florida’s busiest malls, and if the fireworks on the 3rd were anything to go by I’m sure tonight’s will be spectacular! Last night’s fireworks were nothing short of phenomenal – they went for a little over half hour and completely lit up the Florida sky. We were sitting as close to the fireworks as we could – right next to the security tape cordoning off a section of the grounds for safety. I’m surprised I can still see and hear – they were blindingly dazzling but so spectacular that you couldn’t look away. We were close enough to hear each cracker whistle as it ascended into the sky, and if you closed your eyes you would swear you were in the middle of a warzone! To us, 4th of July is all about enjoying a day off, relaxing, and eating some great food. Sometimes, we spend it with friends and family. Other times, it’s just the two of us. Some years there are fireworks and others just sparklers. Last year we kicked off our wedding week festivities on the island of Maui with a welcome party on 4th of July. We spent the day at the beach with friends and family, followed by a night of awesome catered Hawaiian food, a s’mores bar and doing incredible light-painting with sparklers in our photographs. This year we will be having others over to our house for a potluck in the afternoon and fireworks at night. 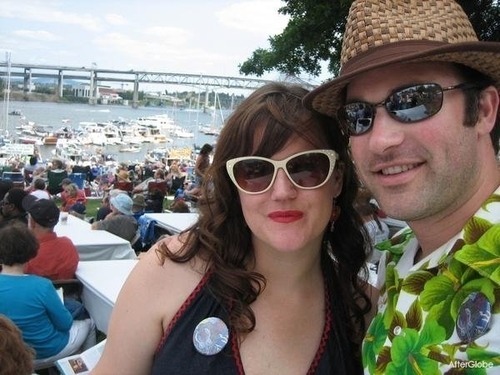 We will also be celebrating our first wedding anniversary with a stay in downtown Portland going to the Waterfront Blues Festival just like we did our very first 4th of July weekend together. 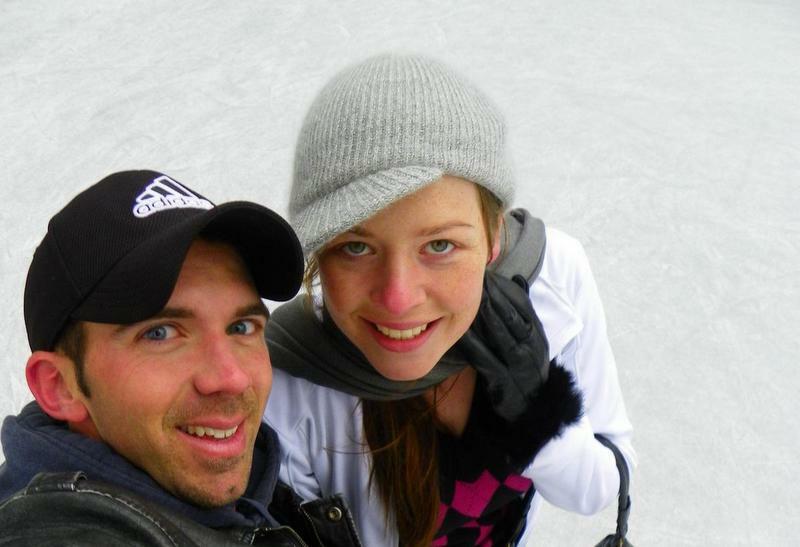 Not only will we be celebrating our 1st wedding anniversary, but we will also be celebrating being together for 6 years. We can’t wait for some time off to just sit back and relax. However, next year, it’s back to Maui! Follow Kimmy and Drew on Facebook and Twitter. 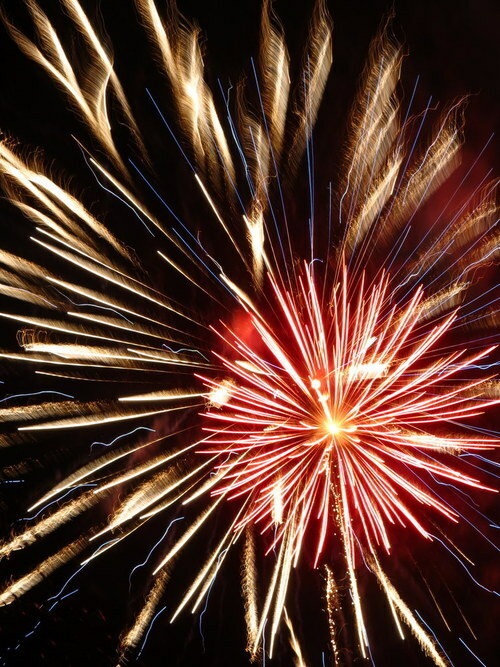 July 4th usually gets celebrated a little different each year, depending on where we are. But we always make sure we include some necessary components! A barbecue is an absolute must, this girl needs her burgers and coleslaw! I usually stuff my face with too many Fourth of July treats and end up regretting it later. I always wear red, white, and blue, and force the husband to do the same. Hey, I like to be festive, nothing wrong with that! And I’m a sucker for fireworks, so a fireworks show is a must, either at the beach or at the park. Last year we brought a blanket to the park and watched the loud beauties along with tons of others. Other years we sat on the side of the highway in our car (since traffic was too long to get to the beach) and enjoyed the show. 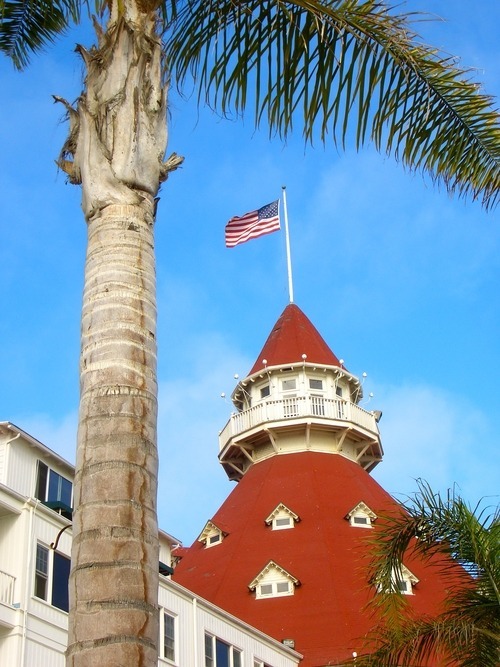 This year we will be celebrating the Fourth of July in Carmel, en route to Hawaii! I’ll have to scope out the area for some fireworks! Follow Jess on Facebook and Twitter. My fourth of July celebration is maybe a little different. 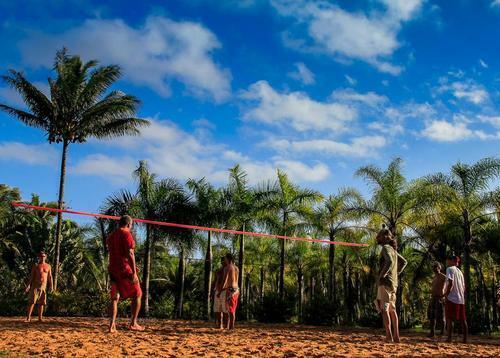 I still end up playing a hard game of sand volleyball with some really good volleyball friends at a local sand court and we cap it off with a traditional barbeque, but in Hawaii, its always a potluck so everyone brings something that comes from their heritage from family recipe. Afterwards we hangout by the pool and shoot and ton of fireworks towards the ocean. Pretty tradition sans the volleyball part which is my regular workout routine with a bunch of volleyball diehards. Follow Noel on Facebook and Twitter. When Mary and I were working full-time back in 2009, we decided to buy a used pontoon boat so we could spend more quality time together as a family. We didn’t know the economy would crash, Mary’s company would get bought out and she’d be laid off, or that we’d start our ecotourism website. 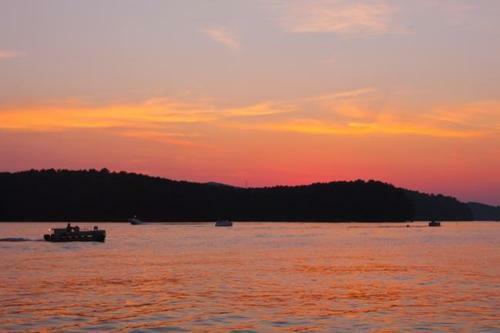 All we knew was that we loved spending time on the water, and that having a boat would allow us to take frequent “staycations” at Lake Allatoona, located 20 minutes from our house. It’s been a great investment in our happiness (and my sanity). Every July 4th they set off fireworks over the lake, so we take dinner and drinks and head out on the water to catch the show. It’s especially pretty because the water reflection doubles the fun! Follow Bret and Mary on Facebook and Twitter. One of the coolest Fourth of July celebrations I can remember in the last 10 years was the time my family and I spent on Coronado Island, better known as “Nado”, just off the coast of San Diego in California. This year the parade starts at 10 am with “America the Beautiful’ for its theme. They have an annual parade, run/walk 5k, 15k run, rough water swim and art in the park. Then around 4 pm, they start a concert series in Spreckes Park with live fireworks at 9 pm. It is a true celebration for any American family or visitor who wants to join in the American spirit. The people dress up in everything from American flag t-shirts, hats, sunglasses to bandannas. Mothers stroll their kids and their pets in baby strollers and wagons and car enthusiasts bring out their 1950’s convertibles for all to see and enjoy. It is a great American holiday for all. How are you celebrating the 4th? I just found this article. I spent my 4th of July in 2013 running in a 5km race and relaxing. Wow kudos for running a 5km race! Any form of voluntary exercise impresses me though lol! 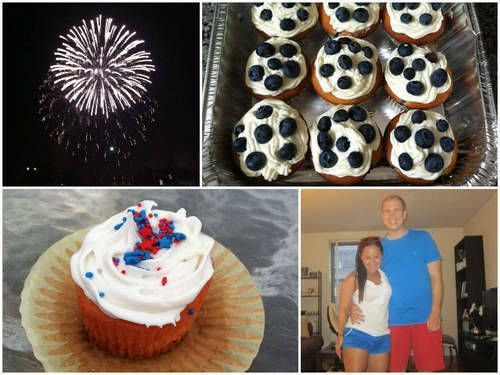 Really loved my first 4th of July – getting geared up for my second!